With summer in full swing, life for everyone is pretty crazy. There are weddings and showers, BBQ’s and parties to attend. Not to mention the extreme heat that keeps you from wanting to turn on your oven! 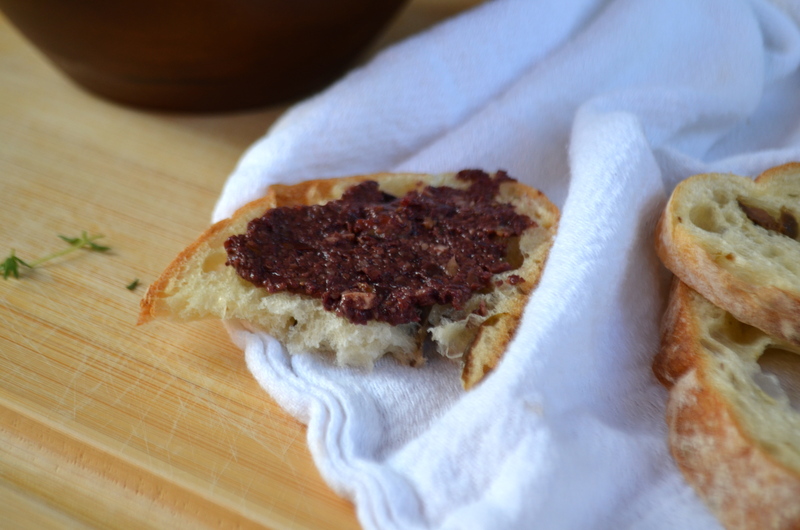 Tapenade is not a food I often associate with summer, but I feel like we can change that! 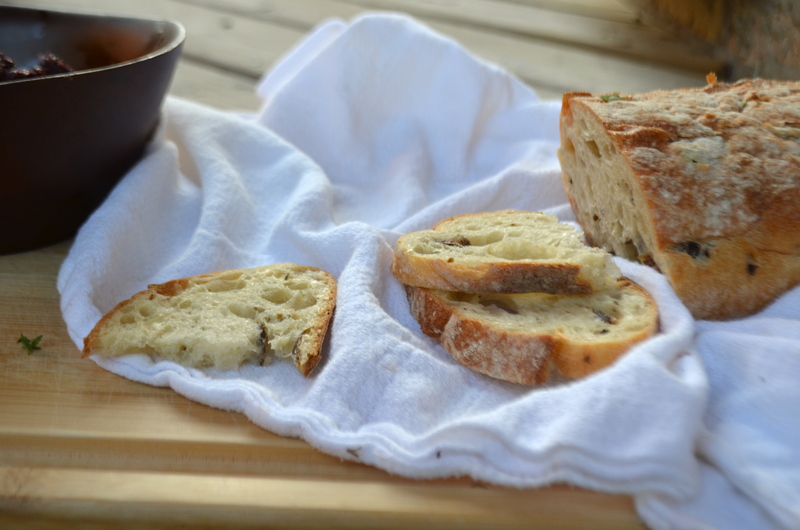 It serves as a great appetizer and keeps well in the refrigerator for up to a month. You can buy some cute jars, tie them with some ribbon and add some nice bread or crackers to a basket and you have a personal and homemade gift. 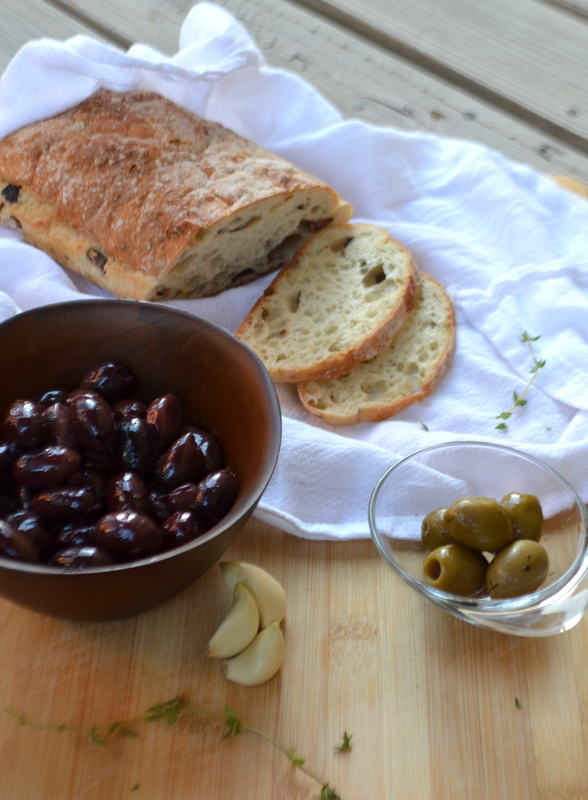 Black and green olives were always a staple at our family gatherings when I was growing up. 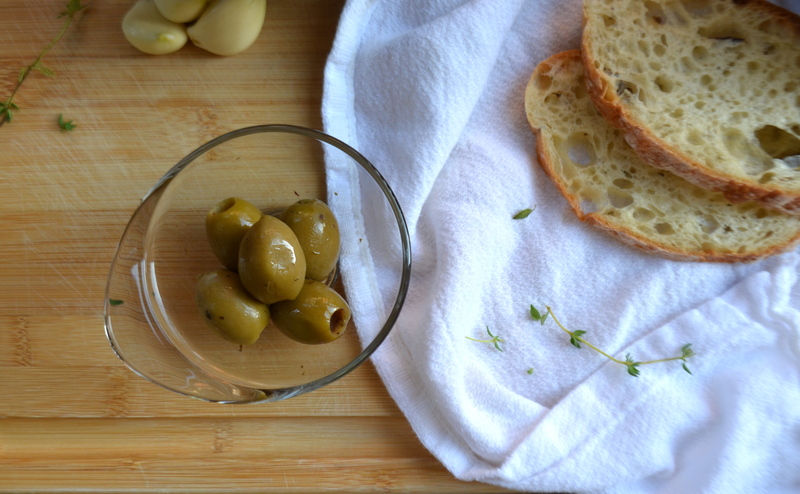 Most of the time my aunts and uncles would see how many they could fit in their cheeks, or better yet their noses…these are the shenanigans that I grew up around and maybe the reason why I didn’t like olives until about a year ago. 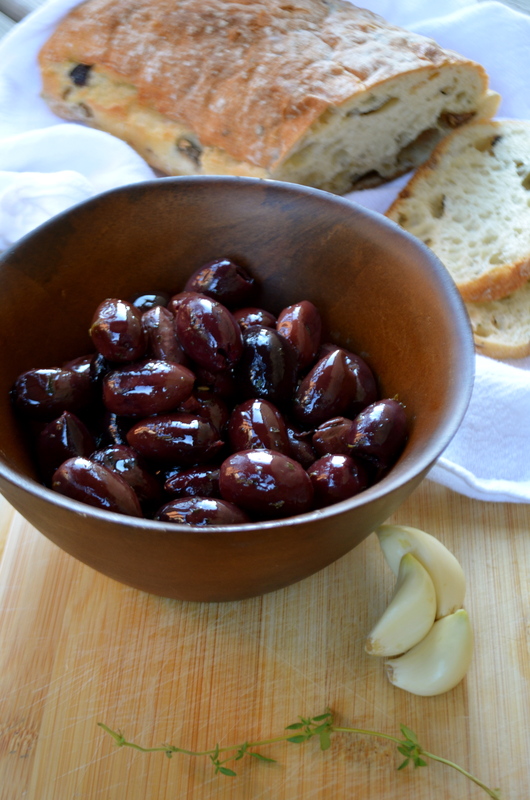 I still don’t like black olives and I’m still on the fence about canned green olives, but any olive you can buy at an olive bar, or that you get on an olive platter is my obsession. They are in a whole different league and I find it hard to believe a canned black olive is even in the same family. 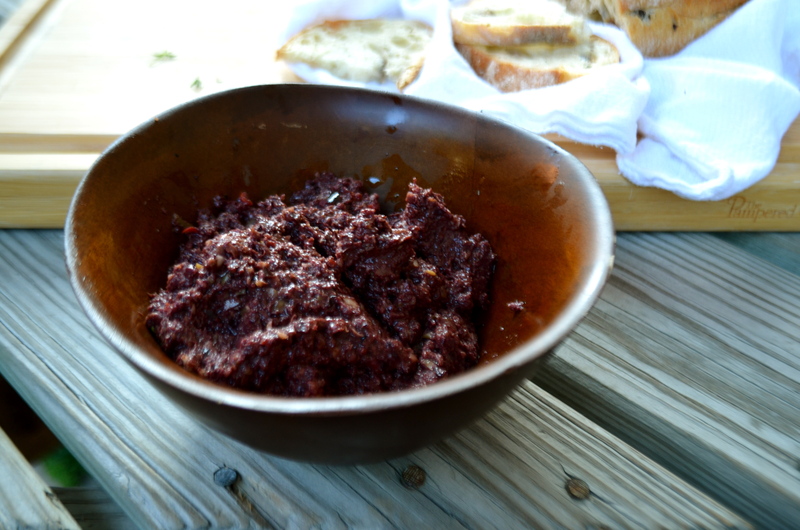 I had a loaf of olive bread, which inspired me to make the tapenade. 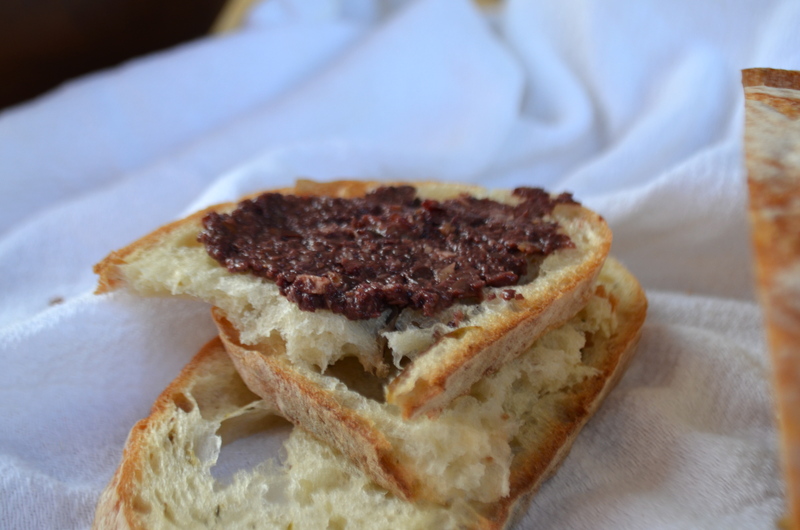 I also love to eat tapenade with pita chips and crackers. 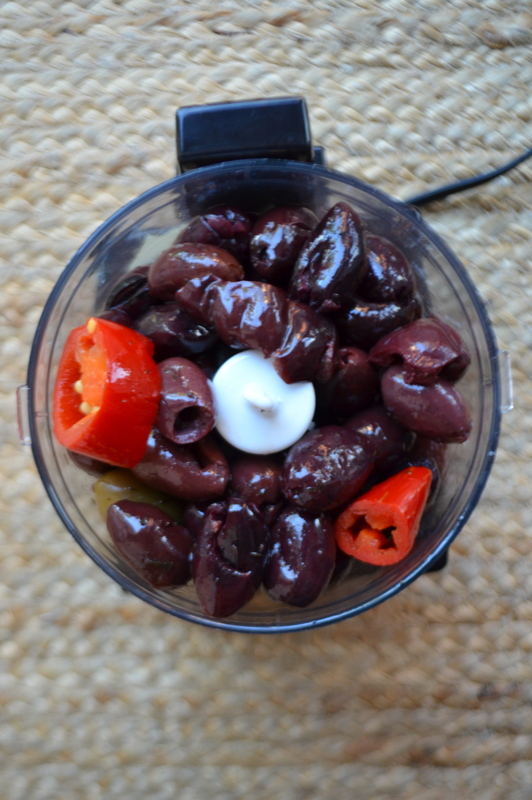 If your olives have pits, make sure to remove them all before placing them in the food processor or chopper. 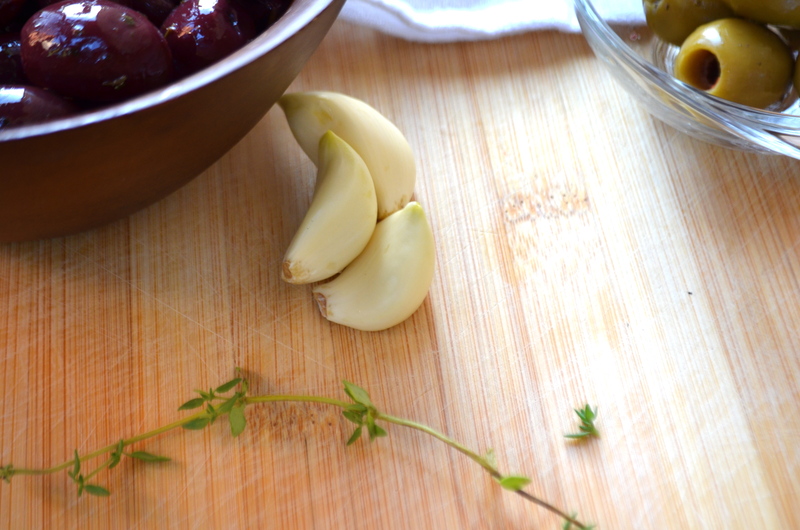 Peel the garlic and remove the thyme leaves from the stem. 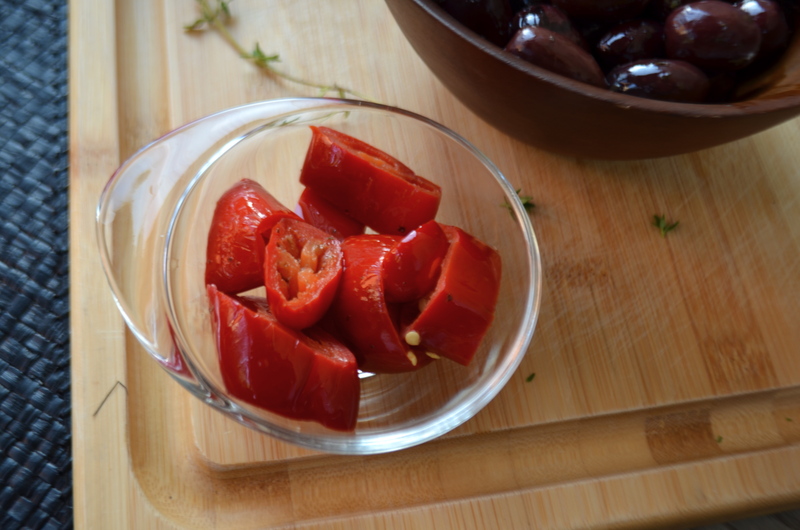 You can always add more garlic, thyme, peppers and olive oil after you make the first batch! I only ended up using about 3 of these! They were really spicy! Sorry about the blurry photos in this post…I was trying to hurry since the sun was going down. (I’m hoping to have a new lens soon). Spread it onto your bread or cracker and eat! 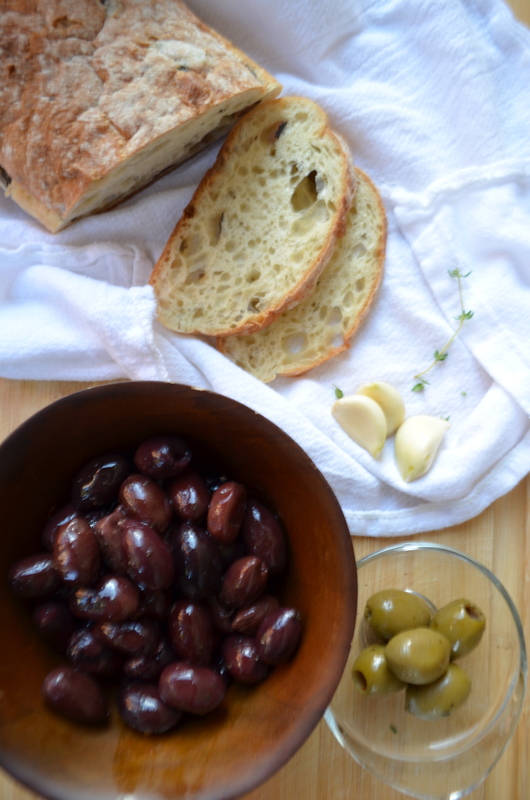 I don’t add salt since the olives are already soooo salty. You may want to add a pinch depending on how salty you like your food. I hope your summer is going well so far! I will try to post as much as I can! 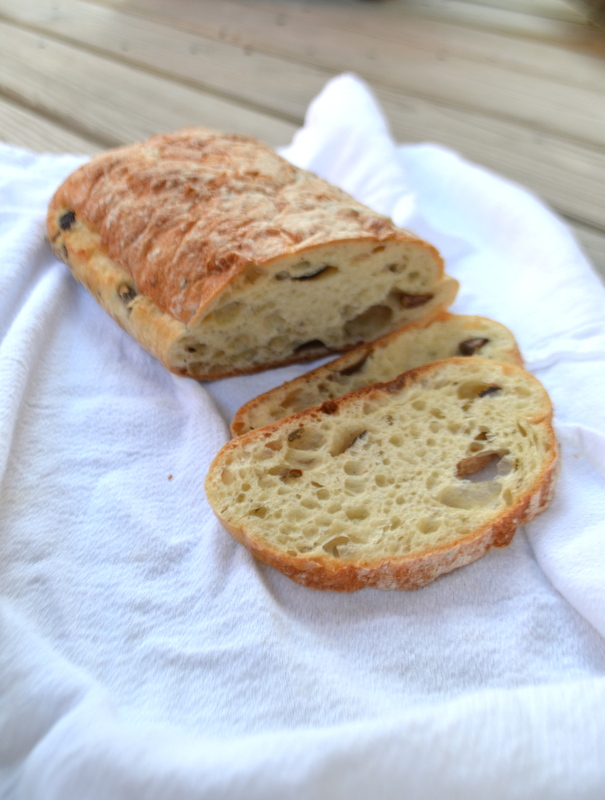 And I will keep to more simple recipes since we all know this is a busy season! 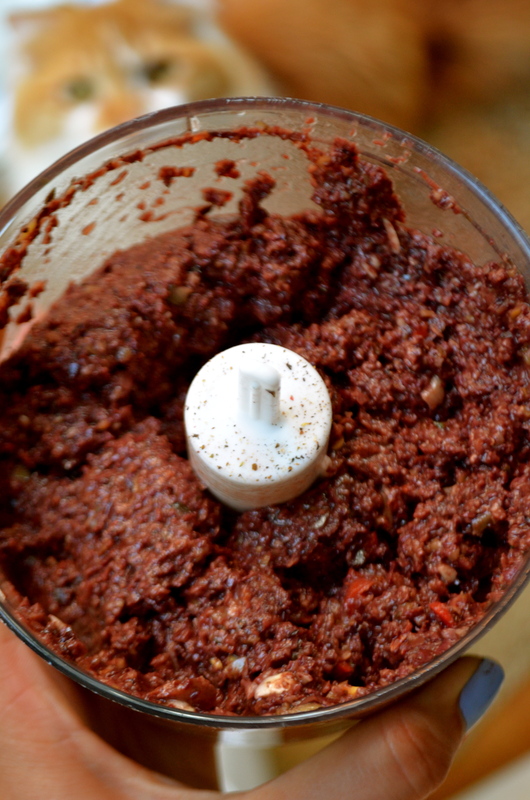 Place all ingredients into a food processor and and mix until you reach a desired consistency. You can pulse the processor more or less, depending on what size you like the pieces to be. I like a very fine spread, so I pulse until it is really fine. You can add more or less garlic, and you can also leave out the pepperoncini’s if you don’t like the spice. 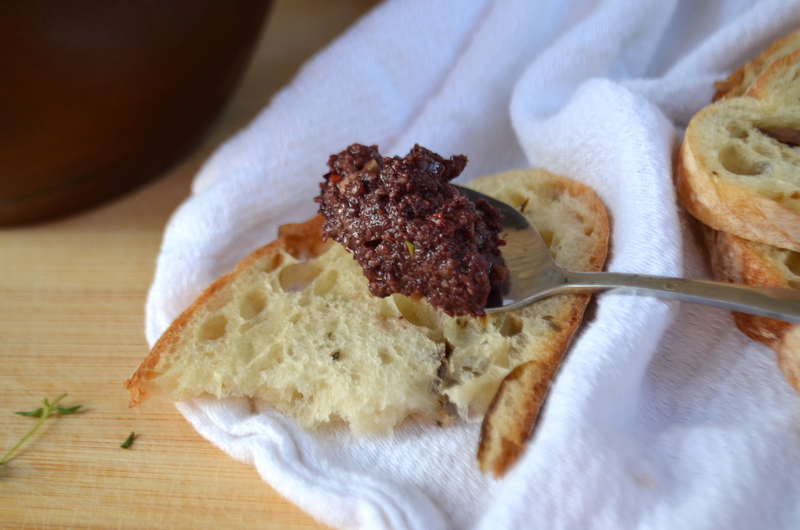 You can also add capers if you like, a lot of recipes call for them in their tapenade. You can serve right away, or refrigerate for around 2 weeks. I like to eat it when it is chilled a bit on bread, pita chips and with crackers! This also makes a great gift! You can buy a cute jar and give it as a gift with some nice crackers. I go through sooo many store bought tapenades, and it’s never occurred just to make my own. I’m so glad I discovered this! Glad you liked the recipe! I hope you try it and love it! esta muy bueno el pate de aceitunas gracias.